Lightly brush pita bread with olive oil. Spread tomato sauce evenly across the top of the pita bread. 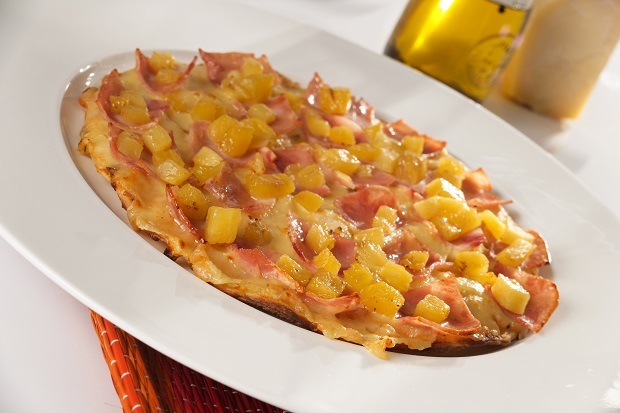 Top with diced ham and pineapple chunks. Bake for approximately 6 mins until the desired level of crispiness is reached.